A consortium of Downer EDI, CRRC Changchun Railway Vehicles and Plenary Group has been announced as the preferred bidder to deliver 65 new high capacity metro trains for the Melbourne Metro network from 2019. Downer chief executive Grant Fenn said he was delighted the Evolution Rail consortium had been selected on Monday as preferred respondent for the $2 billion High Capacity Metro Trains (HCMT) contract. “Downer has over 100 years’ experience delivering rail solutions for its customers across Australia and we look forward to working closely with Public Transport Victoria to deliver this critical project for the people of Victoria,” Fenn said on September 12. 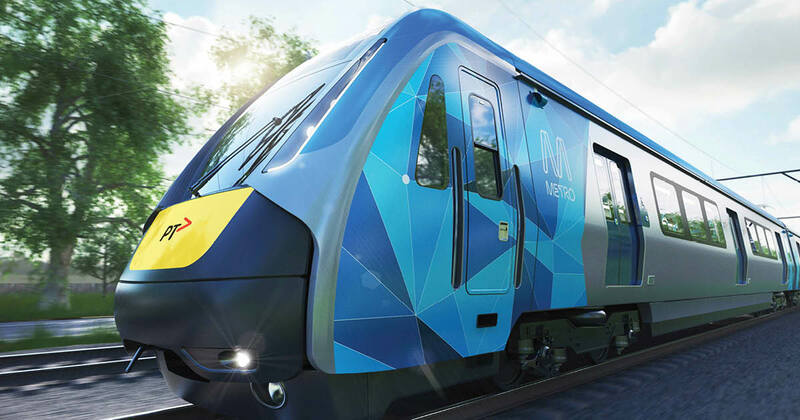 The consortium is responsible for the design, manufacture and commissioning of 65 trains for use on the Cranbourne, Pakenham and Sunbury lines in Melbourne. It will also design and build two training simulators, a maintenance facility and stabling yard at Pakenham East, and a light service facility at Calder Park. The contract also comes with a 30-year maintenance deal for the fleet, facilities and simulators. Nine new six-car trains will also be ordered from Alstom, according to the state government, to boost capacity before the Downer/CRRC fleet rolls out, and to ensure work continues at Alstom’s Ballarat workshop until at least 2019. Alstom was shortlisted for the HCMT contract in a consortium with the Bank of Tokyo Mitsubishi UFJ, and John Laing. The other unsuccessful shortlisted bidder was Bombardier’s consortium with Macquarie Bank, ITOCHU and Infrared Capital Partners. As a result of its contract win, Downer will invest $16 million into its Newport Centre of Excellence for Rolling Stock, where 60% of the trains’ construction will take place. CRRC will also establish a new regional headquarters in Melbourne to deliver the work. The first train is expected to come into service in 2019. Victorian Premier Daniel Andrews said the contract would result in a significant amount of jobs. “The state’s largest single order of trains will be built in Victoria, for Victoria,” Andrews said. Public transport minister Jacinta Allan said the contract would cover every train needed to boost services in Melbourne’s south east, along with the turn-up-and-go service planned for the future Metro Tunnel.